A researcher at Western University in London said he's found more evidence pointing to the harmful effects of egg yolks. A researcher at Western University in London surveyed more than 1,200 people and found egg consumption accelerates atherosclerosis or plaque build up on arteries. He claims the cholesterol found in the yolk is almost as dangerous as smoking. Dr. David Spence says Canadians are being duped by what he calls "propaganda" from the egg industry. His most recent study of more than 1,200 people found egg consumption accelerates atherosclerosis or plaque build up on arteries. 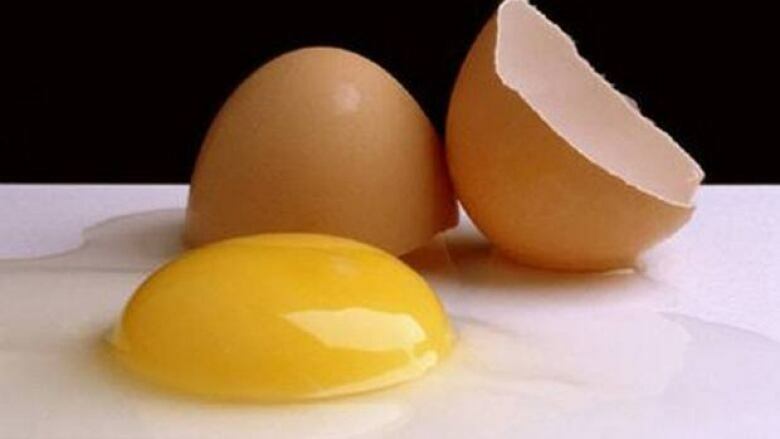 He said the culprit is the cholesterol found in the yolk, which is 237 mgs in a jumbo egg. "It's more than the cholesterol in a Hardee's monster thick burger which is two-thirds of a pound of beef, three slices of cheese and four slices of bacon," said Spence. Karen Harvey is the nutrition officer with Egg Farmers of Canada and a registered dietitian. She stands by the safety of eating egg yolks on a daily basis. "We have decades of clinical research demonstrating no link between egg consumption and an increased risk of heart disease," said Harvey. Spence says, he's looked at that research and accuses the egg industry of being selective about what it shares with the public. "They're just like the tobacco industry," he said. Canada's food guide lists two eggs as an alternative serving to meat. Spence said that would be well over anyone's recommended daily intake of cholesterol.